This DVD features two heritage steam locomotives operated today by outstanding volunteer organizations. Western Maryland 734 and Soo Line 2719 are among the small number of steam locomotives that escaped the scrapper’s torch. Fortunately, they were saved, lovingly restored, and are still with us today. Western Maryland 734 is a 2-8-0, built by Baldwin in 1916 for the Lake Superior & Ishpeming Railroad in Marquette, MI. It went to the Western Maryland Scenic Railroad in 1991, where it was restored to operate on the line between Cumberland and Frostburg, MD. Our program, captured by videographer Jonathan Eau Claire, brings alive the stunning autumn colors, steam, smoke, and thundering sound during a spectacular Carl Franz Fall Photo Special. Soo Line 2719 is a 4-6-2 built in 1923 by ALCO. It retired in 1959 after performing in freight and passenger service for the Soo Line. This locomotive had the distinction of pulling the last steam-powered train in revenue service for the railroad. Today, 2719 operates only a limited number of trips each year on the North Shore Scenic Railroad between Duluth and Two Harbors, MN. We spent three memorable days with the high-stepping Pacific during the 2012 season to capture the locomotive before its first 15-year operating certificate expires in early 2013. 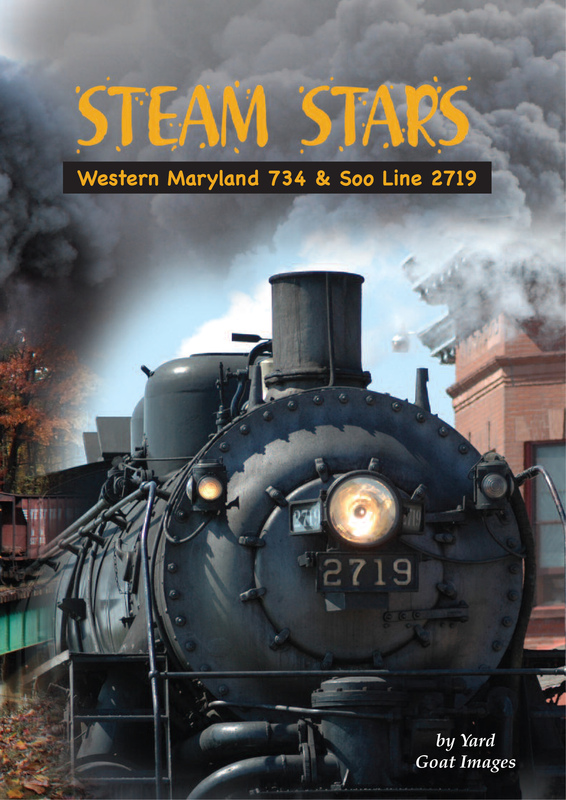 DVD - Steam Stars: Western Maryland 734 & Soo Line 2719 from Steve Mitchell on Vimeo.